The science of stroke prevention has made significant strides over the last decade, with an increasing prevalence of statin and antiplatelet usage, as well as a better ability to control the deleterious effects of hypertension. Unfortunately, not all patients are fortunate enough to receive the “best medical therapy.” Therefore, physicians need to be aggressive in early intervention, attempting to reverse the natural history of acute stroke. This will only be accomplished with multidisciplinary teams and focused research to determine which patients will benefit most, with the least risk. The aim of this review is to bring to light the options and criteria that are relevant today and what areas we need to further elucidate with prospective data. In its simplest form, an ischemic stroke occurs when a region of the brain does not receive adequate blood supply for a time period sufficient to cause cell death. 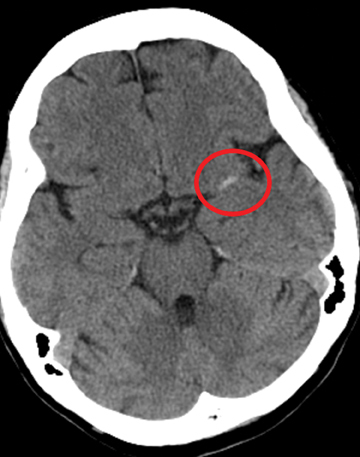 All current methods approved by the United States Food and Drug Administration (FDA) to treat acute ischemic stroke are intended to restore blood flow to underperfused brain tissue by opening occluded vessels within a well-defined time period or ‘window.’ To understand the emerging role for endovascular therapy in the management of acute stroke, a historical perspective is needed as outlined chronologically in Table 1. Endovascular treatments date to the 1950s, when Sussman and Fitch first pioneered intra-arterial (IA) thrombolysis.3 In the 1990s, numerous prospective observational studies of this approach were conducted, resulting in several meta-analyses in the 2000s.4 Compared to anticoagulation with heparin, these studies showed improved outcomes, but there were higher incidences of symptomatic intracranial hemorrhage (SICH). These claims were further substantiated in the prospective randomized control trials Prolyse in Acute Cerebral Thromboembolism (PROACT) I and II, demonstrating some of the most beneficial outcomes of any stroke trial to date, despite most of their patients presenting outside of the 4.5-hour period.5 Although the risk/benefit profile was similar to that of the NINDS trial, the FDA did not grant a label to IA thrombolysis for the treatment of acute stroke. 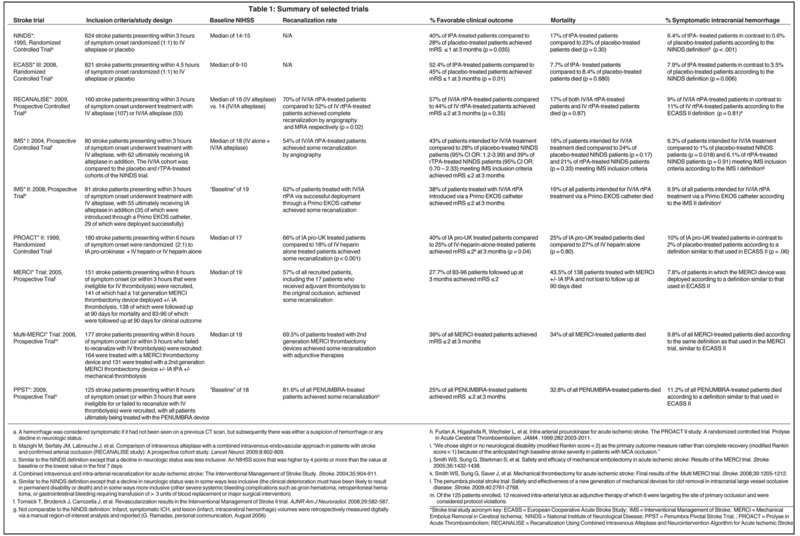 Although IV thrombolysis is regarded as the current standard of care, there are many limitations, based on original NINDS criteria, with respect to whom can be treated. Fewer than 4% of all stroke patients in the United States receive thrombolytic therapy.6 This is related to the numerous contraindications to systemic thrombolysis and the fact that most patients present to emergency departments (ED) outside of the appropriate time window. 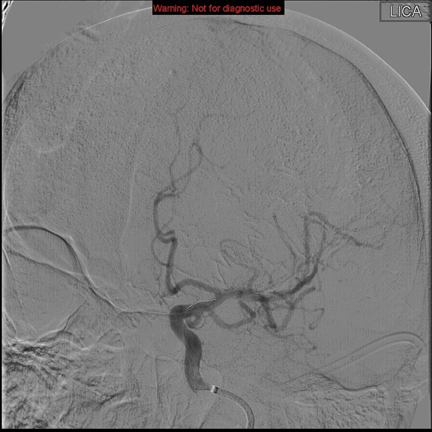 Large-caliber vessel occlusions (ie, M1, carotid, and basilar arteries) lead to the greatest morbidity and mortality from stroke, and it has been shown that IV thrombolysis is less effective in treating such lesions.11 Evidence suggests that endovascular techniques utilized in conjunction with IV thrombolysis, also known as bridging or combined therapy, may lead to better patient outcomes when large-caliber vessel occlusions are present.12 If the results of the prospective randomized trial Interventional Management of Stroke (IMS) III are consistent with those from the prospective RECANALISE study, a role for early utilization of endovascular treatment in acute ischemic stroke when proximal vessel occlusions would be justified. Some practitioners have advocated primary angioplasty and stenting, similar to the coronary standard of care, as a more rapid way of achieving recanalization while treating an underlying, causative, lesion.13 More recently, retrievable stents have been developed with the goal of improving the rate of recanalization, as they are usually deployed prior to thrombectomy. Recent evidence supports this claim of less time to recanalization and also shows higher rates of success than previously reported.14,15 In addition, permanent stents require a combined antiplatelet regimen that has been shown to add significant systemic hemorrhage risk.16,17 However, improved functional outcomes at 3 months have yet to be demonstrated. A role is emerging for primary endovascular therapy in medium- and large-artery occlusion. Given the potential for symptomatic complications, it is important neither to deprive patients of effective interventions nor to expose them unnecessarily to the interventions’ associated risks. Initial parameters for patient selection are the criteria used in the 1995 NINDS trial.1 Subsequent analysis of ECASS showed that patients with greater than 33% hypoattenuation in the middle cerebral artery (MCA) did not benefit from IV tPA. Moreover, these patients showed a significantly increased risk for fatal brain hemorrhage.18 The Alberta Early Stroke Program Computed Tomography (CT) score (ASPECTS), a composite score reflecting ischemia in 10 sub-regions of the MCA territory, has been advocated as a similar but more reliable measure of ischemia.19 Perhaps more importantly, magnetic resonance (MR)-based implementation of the > 1/3 MCA and ASPECTS < 7 rules has dramatically increased sensitivity for detecting ischemia and independently predicts favorable functional outcomes (modified Rankin Scale (mRS) < 2) as well as SICH.20-22 This increased sensitivity associated with MR-based diagnosis translates to improved prognostication and, therefore, better patient selection. Clinical characteristics, such as age, stroke severity, and risk for hemorrhage, as well as imaging characteristics, such as the presence of hemorrhage or large volumes of ischemia, represent established criteria that can guide the decision to institute an attempt at revascularization. Emerging criteria derived from multimodal imaging are being proposed to improve patient selection further. The holy grail of patient selection is identifying brain tissue that is hypoperfused, but not infarcted, and hence potentially salvageable. The ischemic penumbra is commonly defined by subtracting the brain region with restricted diffusion from the region associated with low cerebral blood flow. Diffusion restriction is expected in an intracellular fluid shift, as there is less freedom for particles to diffuse relative to the extracellular space. Intracellular fluid shifts signify failed ATP-dependent Na+/K+ ATPases, which is consistent with infarcted tissue. Although this perfusion-diffusion mismatch framework is conceptually appealing, neither the Echoplanar Imaging Thrombolytic Evaluation Trial (EPITHET) nor the Desmoteplase in Acute Ischemic Stroke (DIAS) II trial could confirm the favorable results seen in earlier studies that used perfusion-based criteria for patient selection.24,25 These studies included patients with proximal-vessel occlusions treated only with IV therapy. It has subsequently been shown that these occlusions are successfully recanalized with IV therapy in only 10% to 30% of patients.26 Patient selection is crucial and may have limited the generalizability of the findings of these studies. Based on the results of EPITHET and DIAS II, as well as observations of “benign oligemia,” perfusion-diffusion mismatched tissue remains viable despite failed recanalization, a more precise characterization of the penumbra is clearly needed if it is to become clinically useful.26 Other imaging-based criteria are evolving as additions or alternatives to the mismatch concept. Blood brain barrier permeability (BBBP) measurements, calculated from pretreatment CT perfusion imaging data, are another example of an alternative method to stratify patients. A retrospective study of 32 tPA-treated patients demonstrated that, in conjunction with old age (> 65 years), BBBP measurements can be 100% sensitive for predicting symptomatic hemorrhagic transformation (SHT) and malignant edema (ME).30 If these results hold up in prospective trials, stroke teams would be enabled to safely pursue thrombolytic treatments outside of the 3- to 4.5- hour window. Cerebral blood flow (CBF) thresholds—the points below which tissue distal to an arterial occlusion would infarct even if recanalization were successful—have been retrospectively identified.31 It is reasonable that companion CBF thresholds will be identified where tissue perfusion can be maintained at a level where recanalization is unnecessary even when a proximal vessel is occluded. The blooming artifact detected on gradient recalled echo (GRE) sequence MRI scan may be another such characteristic. 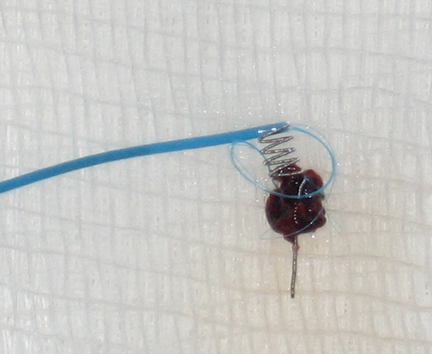 It has been demonstrated to closely correlate with the “red clot” composition thought to be more amenable to chemical thrombolysis than “white clot” composition.35 Although no data support this claim at this time, the presence of the blooming artifact could predict better outcomes with IA thrombolysis compared to mechanical endovascular interventions. Indeed, it is premature to make diagnostic or treatment decisions based on radiographic correlations of clot composition, as methods for strengthening these correlations, like using fibrin-specific MRI contrast agents, are still being innovated.36 MRI and sonography may have unique roles in this field as their ability to image the vessel wall and clot allow physicians to determine if the occluding substance can be lysed or if it requires thrombectomy or stenting for revascularization. The goal in acute stroke management is early recanalization in patients who will benefit clinically. Stroke centers need to be ready, willing, and able to treat the appropriate patients in a skilled and compassionate manner. There is a continuing need for patient education and coordinated systems to deliver patients to these specialized centers in a timely fashion. Care should continue to be improved along the dimensions of both earlier diagnosis and innovative treatment, as well as in the safe and effective selection of patients for treatment. The radiologist can play a central role in facilitating the patient care process. We must make it known to patients, emergency medical technicians, and ED physicians that stroke can be treated similarly to myocardial infarction, where collaborative teams improve patient outcomes.37 Radiologists can become an integral part of the patient care plan and evolve into a crucial part of the stroke team, both as diagnosticians and as interventionalists. We can be collaborative in improving time to ER, ER to imaging, and imaging to intervention. Applying rigid time windows to decide whether patients receive systemically administered thrombolytics or endovascular interventions does not provide sufficiently personalized care. Multimodal imaging-based criteria, such as perfusion-diffusion mismatch, DWI lesion volume, blood-brain barrier permeability, and cerebral blood flow thresholds, promise to make patient selection more individualized (Tables 2-4). Imaging should continue to evolve and separate out true penumbra from benign oligemia. However, none of this multimodal imaging accounts for the physiology of a particular individual’s brain parenchyma. Some may have extensive previous vascular disease and not be able to tolerate small additional insults, while other patients have extensive reserve. Until we are able to appreciate the quality of brain tissue (ie, molecular markers that predict unfavorable responses to reperfusion) as well as to use clot composition prospectively to guide treatment, we will not have truly personalized stroke care. The goal of early intervention in the proper patient remains a challenge; we need to be active advocates in this emerging field of acute stroke therapy. Tissue plasminogen activator for acute ischemic stroke. The National Institute of Neurological Disorders and Stroke rt-PA Stroke Study Group. N Engl J Med. 1995;333:1581-1587. Hacke W, Kaste M, Bluhmki E, et al. Thrombolysis with alteplase 3 to 4.5 hours after acute ischemic stroke. N Engl J Med. 2008;359:1317-1329. Sussman BJ, Fitch TS. Thrombolysis with fibrinolysin in cerebral arterial occlusion. J Am Med Assoc. 1958;167:1705-1709. Lisboa RC, Jovanovic BD, Alberts MJ. Analysis of the safety and efficacy of intra-arterial thrombolytic therapy in ischemic stroke. Stroke. 2002;33:2866-2871. Furlan A, Higashida R, Wechsler L, et al. Intra-arterial prourokinase for acute ischemic stroke. The PROACT II study: A randomized controlled trial. Prolyse in acute cerebral thromboembolism. JAMA . 1999;282:2003-2011. Fonarow GC, Smith EE, Saver JL, et al. Timeliness of tissue-type plasminogen activator therapy in acute ischemic stroke: Patient characteristics, hospital factors, and outcomes associated with door-to-needle times within 60 minutes. Circulation. 2011;123:750-758. Smith WS, Sung G, Starkman S, et al. Safety and efficacy of mechanical embolectomy in acute ischemic stroke: Results of the MERCI trial. Stroke. 2005;36:1432-1438. Smith WS, Sung G, Saver J, et al. Mechanical thrombectomy for acute ischemic stroke: Final results of the Multi MERCI trial. Stroke. 2008;39:1205-1212. The penumbra pivotal stroke trial: Safety and effectiveness of a new generation of mechanical devices for clot removal in intracranial large vessel occlusive disease. Stroke. 2009;40:2761-2768. Yoo AJ, Frei D, Tateshima S, et al. 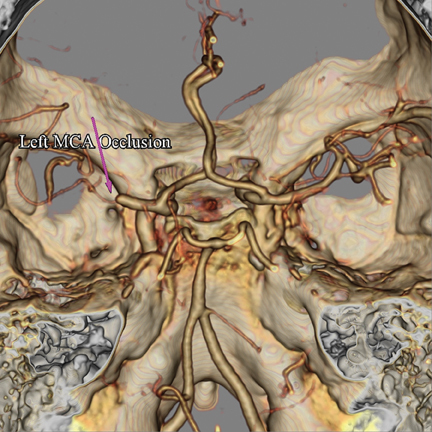 The Penumbra Stroke System: A technical review. J Neurointerv Surg. 2011. Rubiera M, Ribo M, Delgado-Mederos R, et al. Tandem internal carotid artery/middle cerebral artery occlusion: An independent predictor of poor outcome after systemic thrombolysis. Stroke. 2006;37:2301-2305. Mazighi M, Serfaty JM, Labreuche J, et al. Comparison of intravenous alteplase with a combined intravenous-endovascular approach in patients with stroke and confirmed arterial occlusion (RECANALISE study): A prospective cohort study. Lancet Neurol. 2009;8:802-809. Levy EI, Siddiqui AH, Crumlish A, et al. First Food and Drug Administration-approved prospective trial of primary intracranial stenting for acute stroke: SARIS (stent-assisted recanalization in acute ischemic stroke). Stroke. 2009;40:3552-3556. Brekenfeld C, Schroth G, Mordasini P, et al. Impact of retrievable stents on acute ischemic stroke treatment. AJNR Am J Neuroradiol. 2011;32:1269-1273. Castano C, Dorado L, Guerrero C, et al. Mechanical thrombectomy with the Solitaire AB device in large artery occlusions of the anterior circulation: A pilot study. Stroke. 2010;41:1836-1840. Diener HC, Bogousslavsky J, Brass LM, et al. Aspirin and clopidogrel compared with clopidogrel alone after recent ischaemic stroke or transient ischaemic attack in high-risk patients (MATCH): Randomised, double-blind, placebo-controlled trial. The Lancet. 2004;364:331-337. Levy EI, Turk AS, Albuquerque FC, et al. Wingspan in-stent restenosis and thrombosis: Incidence, clinical presentation, and management. Neurosurgery. 2007;61:644-650; discussion 650-641.
von Kummer R, Allen KL, Holle R, et al. Acute stroke: Usefulness of early CT findings before thrombolytic therapy. Radiology. 1997;205:327-333. Barber PA, Demchuk AM, Zhang J, Buchan AM. Validity and reliability of a quantitative computed tomography score in predicting outcome of hyperacute stroke before thrombolytic therapy. ASPECTS Study Group. Alberta Stroke Programme Early CT Score. Lancet. 2000;355:1670-1674. Chalela JA, Kidwell CS, Nentwich LM, et al. Magnetic resonance imaging and computed tomography in emergency assessment of patients with suspected acute stroke: A prospective comparison. The Lancet. 2007;369:293-298. Singer OC, Kurre W, Humpich MC, et al. Risk assessment of symptomatic intracerebral hemorrhage after thrombolysis using DWI-ASPECTS. Stroke. 2009;40:2743-2748. Tei H, Uchiyama S, Usui T, Ohara K. Diffusion-weighted ASPECTS as an independent marker for predicting functional outcome. J Neurol. 2011;258:559-565. Salottolo KM, Fanale CV, Leonard KA, et al. Multimodal imaging does not delay intravenous thrombolytic therapy in acute stroke. AJNR Am J Neuroradiol. 2011;32:864-868. Hacke W, Furlan AJ, Al-Rawi Y, et al. Intravenous desmoteplase in patients with acute ischaemic stroke selected by MRI perfusion-diffusion weighted imaging or perfusion CT (DIAS-2): A prospective, randomised, double-blind, placebo-controlled study. Lancet Neurol. 2009;8:141-150. Davis SM, Donnan GA, Parsons MW, et al. Effects of alteplase beyond 3 h after stroke in the Echoplanar Imaging Thrombolytic Evaluation Trial (EPITHET): A placebo-controlled randomised trial. Lancet Neurol. 2008;7:299-309. Jovin TG, Liebeskind DS, Gupta R, et al. Imaging-based endovascular therapy for acute ischemic stroke due to proximal intracranial anterior circulation occlusion treated beyond 8 hours from time last seen well: Retrospective multicenter analysis of 237 consecutive patients. Stroke. 2011;42:2206-2211. Sanak D, Nosal V, Horak D, et al. Impact of diffusion-weighted MRI-measured initial cerebral infarction volume on clinical outcome in acute stroke patients with middle cerebral artery occlusion treated by thrombolysis. Neuroradiology. 2006;48:632-639. Yoo AJ, Barak ER, Copen WA, et al. Combining acute diffusion-weighted imaging and mean transmit time lesion volumes with National Institutes of Health Stroke Scale Score improves the prediction of acute stroke outcome. Stroke. 2010;41:1728-1735. Yoo AJ, Quill Turk D. START: Imaging Guided Patient Selection for Interventional Revascularization Therapy. 2009; http://www.strokecenter.org/trials/trialDetail.aspx?tid=967&search_string=START. Hom J, Dankbaar JW, Soares BP, et al. Blood-brain barrier permeability assessed by perfusion CT predicts symptomatic hemorrhagic transformation and malignant edema in acute ischemic stroke. AJNR Am J Neuroradiol. 2011;32:41-48. Mui K, Yoo AJ, Verduzco L, et al. Cerebral blood flow thresholds for tissue infarction in patients with acute ischemic stroke treated with intra-arterial revascularization therapy depend on timing of reperfusion. AJNR Am J Neuroradiol. 2011;32:846-851. Mattle HP, Arnold M, Georgiadis D, et al. Comparison of intraarterial and intravenous thrombolysis for ischemic stroke with hyperdense middle cerebral artery sign. Stroke. 2008;39:379-383. Leys D, Pruvo JP, Godefroy O, et al. Prevalence and significance of hyperdense middle cerebral artery in acute stroke. Stroke. 1992;23:317-324. Riedel CH, Zimmermann P, Jensen-Kondering U, et al. The importance of size: Successful recanalization by intravenous thrombolysis in acute anterior stroke depends on thrombus length. Stroke. 2011;42:1775-1777. Liebeskind DS, Sanossian N, Yong WH, et al. CT and MRI early vessel signs reflect clot composition in acute stroke. Stroke. 2011;42:1237-1243. Minnerup J, Kleinschnitz C. Visualization of clot composition in ischemic stroke: Do we get what we see? Stroke. 2011;42:1193-1194. Bradley EH, Nallamothu BK, Herrin J, et al. National efforts to improve door-to-balloon time results from the Door-to-Balloon Alliance. J Am Coll Cardiol. 2009;54:2423-2429. Combined intravenous and intra-arterial recanalization for acute ischemic stroke: The Interventional Management of Stroke Study. Stroke. 2004;35:904-911. Tomsick T, Broderick J, Carrozella J, et al. Revascularization results in the Interventional Management of Stroke II trial. AJNR Am J Neuroradiol. 2008;29:582-587. Hallevi H, Barreto AD, Liebeskind DS, et al. Identifying patients at high risk for poor outcome after intra-arterial therapy for acute ischemic stroke. Stroke. 2009;40:1780-1785. Ishkanian AA, McCullough-Hicks ME, Appelboom G, et al. Improving patient selection for endovascular treatment of acute cerebral ischemia: a review of the literature and an external validation of the Houston IAT and THRIVE predictive scoring systems. Neurosurg Focus. 2011;30:E7. Emerging role of endovascular and acute ischemic stroke treatments. Appl Radiol. Dr. Brook and Dr. Miller are at Albert Einstein College of Medicine in Bronx, NY. Mr. Levitt is at Case Western Reserve University, Cleveland, OH.